We understand that sometimes work schedules get in the way of dropping your car off for service. That is why we offer after hours drop off! Fill out the form below to drop your car off. Drop your keys through our after hours drop off mail slot in our front door. 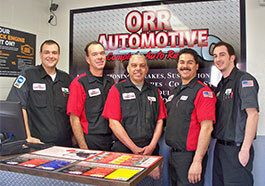 We will call you first thing in the morning and service your vehicle while you get on with your busy day. Call for additional information (909) 625-8963.